Without the right amount of sleep, your skin can suffer, and elevated levels of stress hormones can also wreak havoc on your weight loss efforts. If you want to get some quality sleep naturally, your first choice shouldn’t be medication, but natural sleep inducing foods. Check out a few of the most important foods that help you sleep, and start introducing them in your eating habits. Get your beauty sleep by eating them in the evening, and keep your portions reasonable, so your weight isn’t affected. Most people consider oatmeal a breakfast food, but when it’s not loaded with sugar, it provides your body with plenty of useful nutrients for a good night’s sleep, including magnesium, calcium and potassium. Oats also contain melatonin, the sleep hormone, which can be beneficial when you have to get up early, but still want to get a good rest. Another great source of minerals that can help you relax in the evening for some quality shut-eye, bananas also contain tryphophan, an amino-acid that helps you relax. However, you shouldn’t expect miracles from bananas, even though they’re one of the best foods that help you sleep. You should eat them at least one hour before you plan on going to sleep. The magnesium and typhophan in bananas should help you unwind. Protein can also help you get ready for bedtime, and almonds are rich in both protein and magnesium. They also contain tryptophan, so if you’re planning a late night snack, almonds are the right choice. You don’t need too many either, a single ounce of almonds can get you sleepy, or if you’re rather eat them in butter form, all you need is a tablespoon of almond butter. Melatonin, the sleep hormone, is rarely found in food, but cherries have plenty of it, which makes them one of the most important foods that help you sleep. A handful of cherries should be enough to help you get your beauty sleep, but when they’re not in season, you can also opt for cherry juice. Make sure that you buy an unsweetened variety, since cherries are already sweet enough, and too much sugar can actually delay your bedtime. 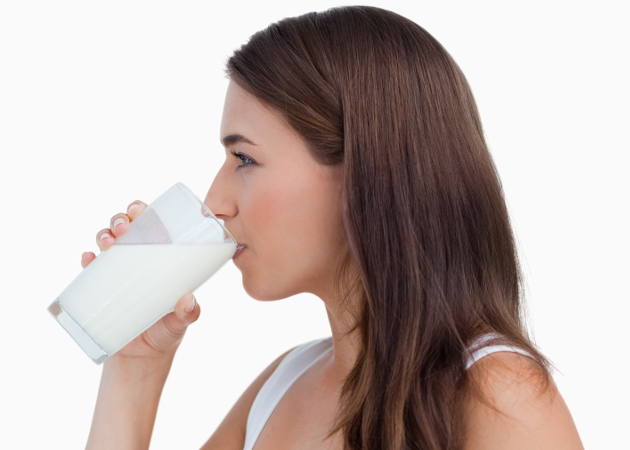 With a high content of protein and plenty of tryptophan, milk and other types of dairy are another great way to get to sleep naturally. They also contain plenty of calcium, helping your overcome stress and relax. If you’d rather skip the glass of milk, opt for Greek yogurt or less processed cheeses, like cottage cheese for a late night snack. A single hardboiled egg can make the difference between tossing and turning or going to sleep quickly. It delivers plenty of protein to get you sleepy, but it can also have a positive effect on acid reflux. If you’re dealing with heartburn, don’t let it affect the quality of your sleep. Eggs are one of the best foods that help you sleep, as long as you don’t add extra fats by frying them. If you’re looking for protein that’s not animal sourced, and almonds aren’t your thing, hummus is an excellent choice for a snack that can help you get to sleep. It’s rich in tryptophan and can be paired with whole-grain crackers or toast, which can also relax you in the evening and improve your beauty sleep. More: Eat These Foods for a Smaller Waist! Tuna, halibut, and shrimp are rich in tryptophan, but they also provide you with lots of vitamin B6, which is needed to produce serotonin and melatonin for a good night’s sleep. While fish is definitely one of the foods that help you sleep, make sure that you pick the ethical fished tuna, that’s also low in contaminants. Chamomile, lemon balm and passionflower teas are among the best choices you can make when you’re looking for quality sleep. Green tea can also be a good option, as long as it’s decaffeinated. Stick to herbal teas before bedtime or make sure that whatever type of tea you’re drinking is caffeine free. The glucose in honey can also help you sleep, as long as your don’t eat more than a tablespoon. Honey is one of the best foods that help you sleep, and you can choose to have it on its own or add it to a cup of herbal tea for a stronger effect.